The various locations within the Market Place are at the San Bernard National Wildlife Refuge Headquarters Campus, near the main entrance to the Refuge. ​T-shirts, tote bags, and other items. In addition, Nature Store personnel will review Junior Naturalist Passports and give free prizes to the kids that have completed the program. The Nature Store is operated by the Friends of the Brazoria Wildlife Refuges. All proceeds from sales are used to support Migration Celebration or other refuge activities. ​for sale to Migration Celebration visitors. Some of the items include: fresh, hot BBQ sandwiches, pulled pork sandwiches, hot dogs, boudin, chips, and drinks. ​Come hungry! You are welcome to eat here or carry out. The Bake Sale is open throughout all hours of Migration Celebration. Calling all bakers! 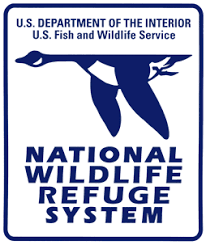 We need your help in making homemade cookies, cupcakes, and cakes for our Bake Sale in support of Environmental Education at our wildlife refuges. Please bring your bake sale donations to the Bake Sale site at the Exhibition Hall at 9:00 am on Saturday, April 27 and 11:00 am on Sunday, April 28. ​Please label clearly if deserts contain nuts, and if they are Sugar-Free or Gluten-Free. Please label flavor clearly (i.e. Chocolate Chip, etc. ).